To judge our awards takes time, and the reason for this is simple: Our key goal is to reward those firms and lawyers who have demonstrated peerless accomplishments within their sector. In order to be selected for a Lawyer Monthly Award and to become an eventual winner each individual or firm will have completed the following process. The entire process typically takes several months of work to complete. For more detailed information on the voting process and FAQs please see the information below. The awards selection process begins when we announce to the readership and subscribers of Lawyer Monthly that voting is now open and can be accessed via our awards website. The voting process is confidential and all votes are verified to ensure that no abuse of the voting platform can occur. Each vote is cast via an online form where firms and professionals are invited to vote for individuals and companies in a number of designated categories. The voting is predominantly carried out by 3rd parties, such as colleagues, clients and industry peers. Each vote cast is counted and can be supported by further evidence of the nominees work via a personal recommendation. Each voting period remains open for 7 weeks to allow businesses and clients the opportunity to send us information on those they feel have excelled in their designated field in the last 12 months. Our voting process is opened to our entire readership and is publicised through Lawyer Monthly Magazine, Lawyer Monthly Online, social media channels, industry marketing partners and also through our key editorial channels - ensuring the voting platform is available to a substantial audience. Once the votes have all been counted and verified the top candidates move to the shortlist stage. 1. Ensure the shortlisted candidate is aware of their nomination. 2. Corroborate the details of the nomination. 3. Allow the candidate the opportunity to accept the nomination and be placed on the shortlist. Please note that all information submitted in support of a shortlist will be viewed by Lawyer Monthly's research team to ensure credibility and veracity. Any information supplied will remain confidential and will only be viewed by our judging panel. No shortlist information will be used in the awards publication, online or for marketing purposes without prior permission. The shortlist stage allows our judges to review any additional evidence allowing them to narrow down the best of the best to the very best, so we can select our winners. Following the shortlist stage our judging panel comprised of the Lawyer Monthly senior management team will make a final selection and decide each category winner based on our designated criteria. This can include votes, supporting information and testimonials received during the previous stages mentioned above. Each winner will then be notified by Lawyer Monthly and will appear in our prestigious awards Winners’ Edition. A firm, business or an individual who has worked with, or instructed, the nominated party to act on their behalf relating to legal or financial matters. Is there a fee to participate in the Lawyer Monthly Awards? No. There are no fees either during the voting phase or for being listed in the winners’ edition. Featured profiles within our Winners Publication may result in traditional marketing costs. What should I/we include in our submission? We have provided space for a 500 word statement to accompany category selections, you can also upload relevant supporting documents in PDF and Word format. Given the word count we encourage participants to be as specific as possible when highlighting expertise and work. The statement must provide tangible examples to support the entry. Good entries tend to focus on measurable results – unless using direct client quotes. In short, facts and figures are always welcome as they can be easily measured. All nominations must be entered via our online voting system – we cannot accept entries by post or any other method. What if my category is not listed on the vote form? We have provided a comprehensive list of voting categories in order to cater the increasingly niche and specialist areas within each sector. If you feel that the categories provided do not reflect the area of expertise you wish to select and vote for, then please select the ‘Other’ category at the end of the category form. PLEASE NOTE: Any additional (other) category requested will be subject to review and acceptance by the awards team and we cannot guarantee that the category will be accepted. Can more than one individual/company win the same award? No. For those awards where the criteria is based on the expertise demonstrated by a professional within a certain category or practice area, each award winner is chosen through our selection process and will not be duplicated. If the award publication relates to multiple jurisdictions then each winner will be listed by category and jurisdiction, in this case it is possible to have M&A Lawyer of the Year – USA and M&A Lawyer of the Year – UK listed in the same awards, for example. Where will the Winners’ Edition be published? The Lawyer Monthly Awards Winners' Edition is published in print and online and will be promoted through our magazine, website and social media as well as being submitted to a host of PR companies. Where did you get my information from/ why have I been contacted? If we have contacted you regarding a Lawyer Monthly Award then that is because you have been nominated via our online voting platform. How long has the Lawyer Monthly Awards been published for? 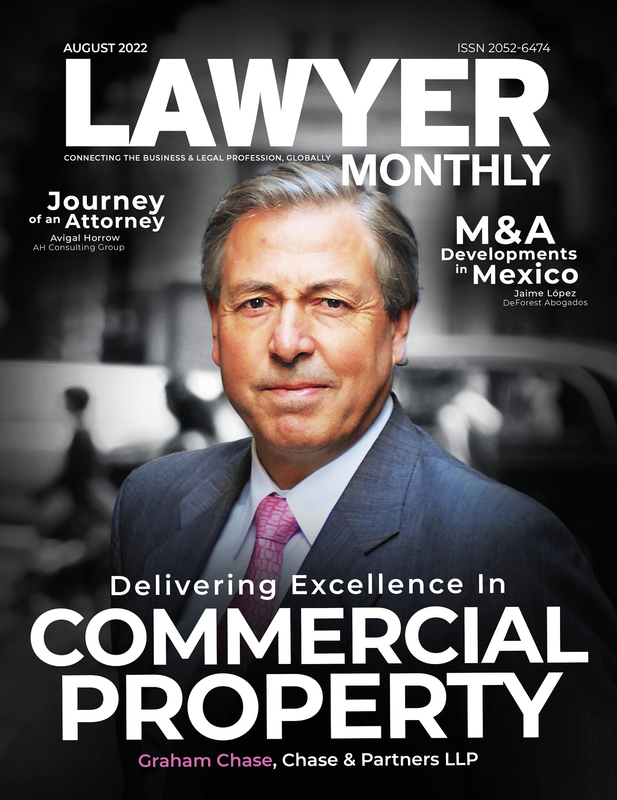 Lawyer Monthly has been in existence since 2009 and has published special Awards editions each year. With each Awards programme Lawyer Monthly produces a special Awards Edition which is available in print and online. The digital edition is distributed to high percentage of our readership (the percentage varies depending on the relevance of the award to the reader). Once published Lawyer Monthly embarks on a targeted marketing campaign to ensure our winners receive the maximum benefit from appearing in the Awards publication. We believe this approach, ultimately, provides greater ROI and national/international exposure for each winner rather than a one-off single event. What type of businesses and/or individuals work with Lawyer Monthly? We work with a diverse range of local, national and international businesses. We work with firms that are recognised as start-ups and well-established firms. We also work with established advisory firms, banks and legal firms that provide services to companies requiring assistance in expansion or consolidation. Yes, however all votes are verified so we discourage voting for the same person or firm more than once. How can I find out more about the awards process?